Mary Miley is the winner of the 2012 Minotaur Books/Mystery Writers of America First Novel Competition. She grew up in Pennsylvania, Illinois, and France, and worked her way through the College of William and Mary in Virginia as a costumed tour guide at Colonial Williamsburg. After completing her masters in history, she worked at the museum and taught American history at Virginia Commonwealth University. As Mary Miley Theobald, she has published numerous nonfiction books and articles on history, travel, and business topics. This question, commonly posed to fiction authors and book club readers, is harder for me to answer than it would seem. 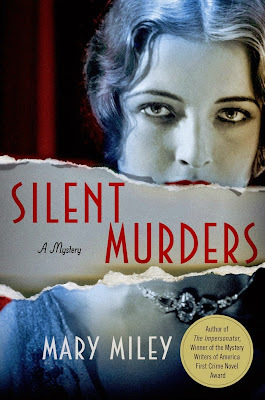 The main character in Silent Murders (and in the entire Roaring Twenties series) is a young woman who has spent her life on the vaudeville stage playing kiddie roles into her mid twenties. Any actress playing Jessie would need to be petite and have a boyish 1920s silhouette—those traits, along with her acting skills, allow her to continue impersonating teenage girls, which is important to the stories. So the film version requires an actress who can believably become 16 with the right clothes and makeup. Not many fit that description. Drew Barrymore would have been perfect 15 years ago. Keira Knightley and Emma Stone come to mind as possibilities. The main male character, David Carr, was introduced in The Impersonator and continues in Silent Murders and beyond. David is in his mid/late twenties, a tough gangster with a disarming smile—the lovable rogue sort. Ryan Gosling or Nic Bishop are about the right age or could fake it a bit younger. I also like Chris Pine and Ryan Reynolds, but fear that they might be too old for the part. Should the Roaring Twenties series actually become a movie (and I have had one film company ask about options, so it isn’t as far-fetched as I once assumed), I think the wisest course would be to choose unknown actors for the roles. 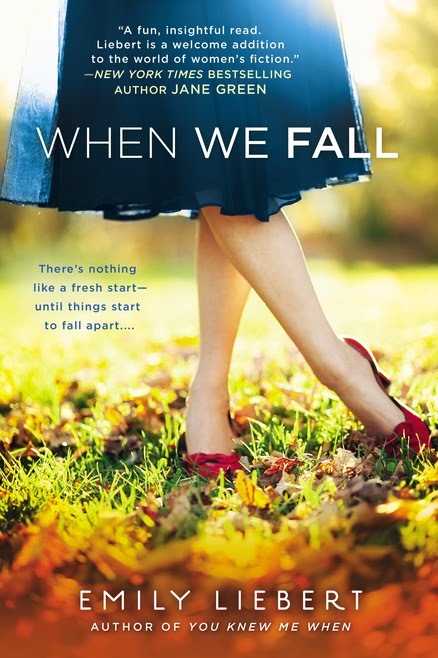 Emily Liebert's "When We Fall"
Emily Liebert is an award-​winning author, New York Times bestselling editor, and TV personality. Her books Facebook Fairytales and You Knew Me When are available across the globe. Liebert is a graduate of Smith College and lives in Connecticut with her husband and their two sons. This is the dream, right? Having your book turned into a movie (I’ll take TV too!). While I’d love to say I haven’t given this hours of thought—specifically when I can’t sleep in the middle of the night—that would be a big fat lie! So, here goes. Charlotte and Allison are the main characters in When We Fall, so I’d love to see two strong actresses play those roles. I’d have to say Natalie Portman for Allison. To me, they both embody beauty and grace, inside and out. For Charlotte, Amy Adams all the way. Charlotte’s a convoluted personality and I think Amy could portray that in the truest light. Emily Blunt would make a fabulous Elizabeth (Charlotte’s sister). For that role, you need someone who can do snarky well and that’s Emily Blunt! In the way of the men. For Charlotte’s husband Charlie I’ll go with Bradley Cooper, because I love him! And for Dempsey, James Marsden, because he’s exactly what I picture when I think of that character and he’s so swoon worthy! Believe me, I could go on and list someone for every single character right down to the waitress in the diner scene, but I’ll spare everyone. Now, as far as who would direct. I’ll take the brother sister team of Gary and Penny Marshall! Learn more about the book and author at Emily Liebert's website. The Page 69 Test: When We Fall. Joe Gannon's "Night of the Jaguar"
Joe Gannon, writer and spoken word artist, was a freelance journalist in Nicaragua during the Sandinista Revolution, writing for The Christian Science Monitor, The Toronto Globe and Mail, and the San Francisco Examiner. He spent three years in the army, graduated from the University of Massachusetts at Amherst, and did his MFA at Pine Manor College. I always had a very specific man in mind for my detective, Captain Ajax Montoya – he is on the cover of his memoir of his years with the Sandinistas. His name is Omar Cabezas, and his book, Fire from the Mountain, was a big hit when it was published in 1980’s. But for the movie, I have always channeled Javier Bardem, who can play a fop, a super- sized James Bond villain, or the cool psychopathic killer from No Country for Old Men. He has the face of a man overcome by sadness, but not defeated by it. However, Demian Bichir, who plays the Mexican cop on The Bridge, would also make a great Ajax. Bichir plays perfectly the vaguely corrupt but nevertheless stalwart Mexican detective, who is brave and loyal, but dirty. And Ajax is vaguely corrupt – a drunk who extorts cigarettes from smugglers because he can’t afford the good stuff on his salary. Bichir has the grizzled, growly look and sound of a man who’s wrestled with angels and while beaten by them, is stronger for the defeat at the hands of greatness. The right director for the movie of my novel depends on finding the artist who “gets it.” But, if I had my druthers, I send the novel first to Guillermo del Toro, the Mexican director who started with dark fantasy like Pan’s Labyrinth, but also action films; he’s produced animation films like Kung Fu Panda, and now has a vampire series, The Strain, taken from his graphic novels. What can’t the guy do? His style is incredible, and he would, I think, find Ajax an appealing character – teetering on the verge of madness, a saint’s soul but a killer’s heart. There are lots of great secondary roles too. James Edward Olmos, from Battlestar Galactica, would make a great Horacio – the elder statesman of the Revo who seems to know everyone and everything. Gael García Bernal – crossed over from Mexican films to international superstardom, would make a great villain – and there are several! 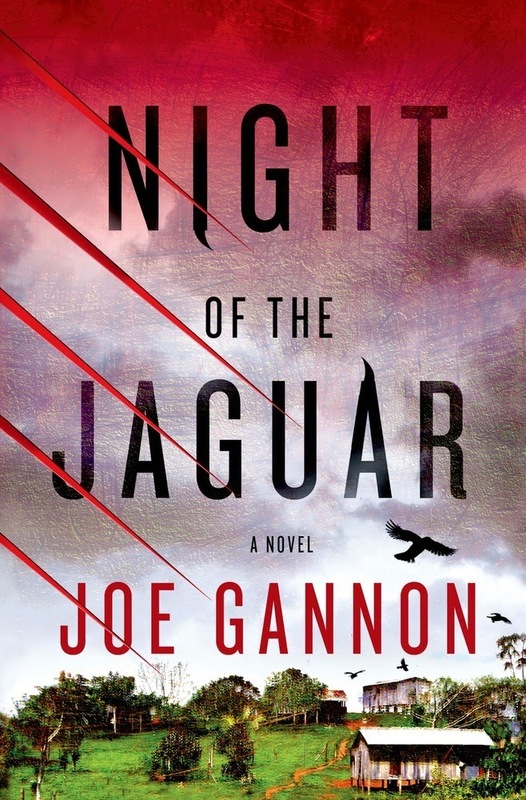 The Page 69 Test: Night of the Jaguar. Neil Sagebiel's "Draw in the Dunes"
Neil Sagebiel is the founder and editor of Armchair Golf Blog, one of the top golf blogs on the Internet. He is the author of The Longest Shot: Jack Fleck, Ben Hogan, and Pro Golf’s Greatest Upset at the 1955 U.S. Open. Draw in the Dunes is about golf, and golf movies are tough to pull off. That's usually because the actors playing golfers are unconvincing. Glenn Ford played Ben Hogan in Follow the Sun, the first Hollywood movie about a golfer. While the 1951 movie was a success at the box office, Hogan, a technical adviser on the film, was displeased with Ford because the leading man was so ungolferlike in his movements. There are exceptions. Stephen Dillane was wonderful as Harry Vardon in The Greatest Game Ever Played (2005). 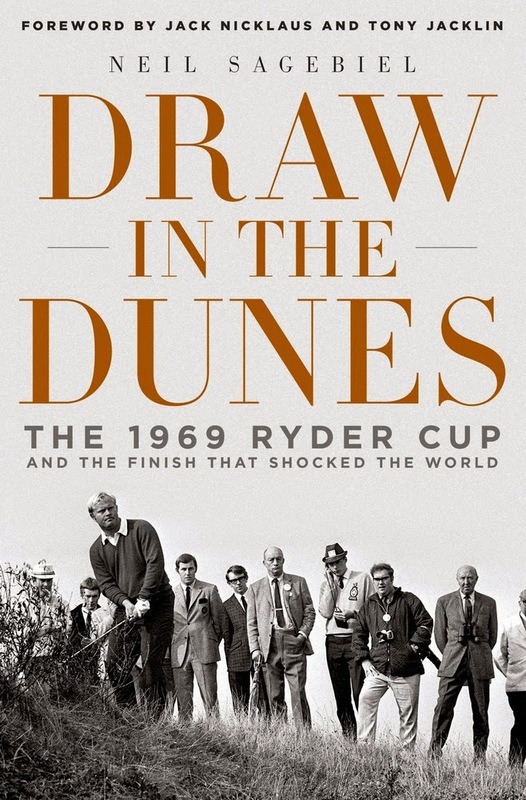 I would cast charismatic athletic men for the roles of American Jack Nicklaus and Englishman Tony Jacklin, the stars of my new book about the 1969 Ryder Cup. A young Sean Connery would be a solid choice for Tony Jacklin. Connery was a good golfer. Interestingly, Connery and Jacklin were also good friends. For Jack Nicklaus, I might cast a young Jon Voight (Midnight Cowboy era), if Voight had golf ability. Voight's father was described as both a pro golfer and a caddie. Maybe his aptitude for the game was passed along to his movie-star son. One potential casting problem is that Connery and Voight stand 6' 2" while the men they would play were 5' 10". On the other hand, being the same height, Connery and Voight would look eye to eye, as did Jacklin and Nicklaus. I expect a talented director could make it work. Speaking of a director, that's an easy choice: Clint Eastwood. There's so much outstanding work, including Million Dollar Baby to name just one Eastwood gem. And Clint knows and loves golf. Clint, ready to tee it up? Visit Neil Sagebiel's blog and follow him on Twitter. Russ Castronovo is Tom Paine Professor of English and Dorothy Draheim Professor of American Studies at the University of Wisconsin-Madison. His books include Propaganda 1776: Secrets, Leaks, and Revolutionary Communications in Early America, Beautiful Democracy: Aesthetics and Anarchy in a Global Era, Necro Citizenship: Death, Eroticism, and the Public Sphere in the Nineteenth-Century United States, and Fathering the Nation: American Genealogies of Slavery and Freedom. The first casting agent for the movie version of Propaganda 1776 had to be fired. His problem was that he couldn’t get beyond seeing propaganda in negative terms. Ever since World War I, propaganda has been reduced to deceit and dishonesty in ways that impoverish the concept. This first casting agent kept thinking that Voldermort, as the embodiment of evil, would be perfect for the role of an American propagandist. If not Voldermort, then Don Draper was the next choice since his philandering and deceptions, not the least of which are his own self-deceptions, would make him ideal for the part of an oily flimflam man. But, as I said, the casting agent’s assumptions didn’t match the story of Propaganda 1776. By looking at the colonial network of pamphleteers, letter writers, printers and poets, this book shows how propaganda can be integral to democratic practice. Prior to the twentieth century, men and women of the eighteenth-century Atlantic world used an array of rhetorical devices—satire, barbed attacks, plagiarism, and the theft of confidential documents—to communicate unofficial truths. The most important scenes in the movie don’t focus on principal actors but on ink-stained printers, crowds clamoring for the latest issue of the Massachusetts Spy, and riotous taverns where Common Sense is being passed around along with pints of rum. So casting extras is going to crucial for this movie. Hopefully the director will ensure that this historical picture won’t be marred as is Spartacus (1960) where tennis shoes and wristwatches can be spotted among the legions of Greek soldiers. Indeed, Propaganda 1776 shows how effective revolutionaries occupy the shadows and keep their identities submerged beneath the flood of print. What was important to eighteenth-century democracy in America was not the individual actor but the unregulated flow of information. So the trick for casting Propaganda 1776 will be to find actors who will fit into—as opposed to stand out from—the raucous world of inflammatory pamphlets and accusatory broadsides. Ben Franklin: Although he is celebrated today as an exemplary American, Franklin studiously resisted occupying center stage to ensure that the sources of secret information could remain secret. Either Paul Giamatti or Louis C.K. is perfect for this unassuming role. Mercy Otis Warren: An unrelenting critic of British officials, Warren would be best played by an actress who doesn’t suffer fools. Selma Blair does a great job of rolling her eyes in Legally Blonde, and this ability to convey exasperation would serve her well here. Tom Paine: Dedicated to expanding liberty beyond American shores, Paine suggests a global visionary. Tim Robbins is a strong possibility. Philip Freneau: Poet-propagandist extraordinaire, Freneau is best played by a clever wordsmith. I’m hoping Macklemore is available. As you can see, Propaganda 1776 is going to be way better than Steven Spielberg’s Lincoln. 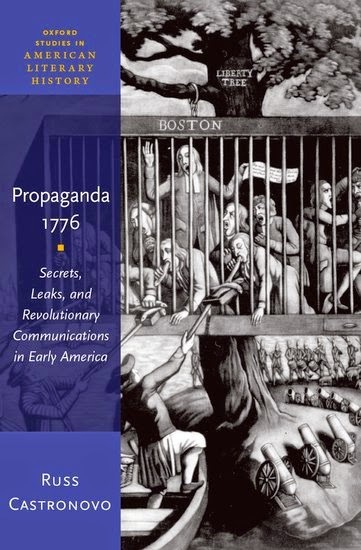 Learn more about Propaganda 1776 at the Oxford University Press website. Celine Kiernan's "Into the Grey"
Celine Kiernan is an award-winning author of fantasy novels for young adults. Her critically acclaimed work combines fantasy elements with the exploration of political, humanitarian and philosophical themes. She is best known for The Moorehawke Trilogy, a dark, complex trilogy of fantasy YA books set in an alternative renaissance Europe. First published in Kiernan’s native Ireland in 2008, the trilogy has since been published in 15 different territories, and translated into 10 different languages. Kiernan’s fourth novel, Into the Grey (aka Taken Away) – a YA ghost story set in 1970′s Ireland – won the 2012 CBI Book of the Year (formerly The Bisto award) and the CBI Children’s Choice Award. 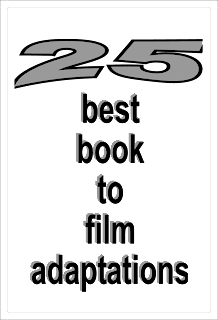 It is the first book to have won both categories. It won the RAI Book of the Year 2013, and has been shortlisted for the Sakura Medal (English High) 2014. In 2013 the Irish Times named it as one of the best children’s books of the past 25 years. I’m never too great at casting my own books because the characters are too strongly visualised in my head, so in the past I’ve left it up to my readers (as you can see in this illustration of all the fan selections for the 2010 Moorehawke Casting Competition. Into the Grey is a particularly tough one for me. I think the thing that makes casting it so difficult is the fact that its set in 1974. No-one these days looks the way we did in 1974. Everyone now is so shiny and neat when compared to then – everyone has such wonderful hair! Nevertheless, I’ve done my best with all the main peripheral characters and I hope you like my choices. This is an all Irish cast, by the way, which I think is perfectly appropriate to a film set in Ireland. Pat and Dom: (had we a time machine) The wonderful Robert Sheehan. I found it impossible to cast the main characters of 15 year old identical twins Dom and Pat. I think we might have to go with an unknown actor for this very demanding role. I have included a nice photo of a very young Robert Sheehan though, had he been young enough he would have been physically perfect to play the boys with his dark curly hair and slim build (not to mention his Dublin accent!) He would have to darkened his big eyes with contacts, though, as Pat and Dom have very dark brown eyes. Frustrated, loving, fierce and kind all in one, we need an actor capable of portraying a believable, nuanced mix of emotions to show the boy’s mother to her full depth. I would love to see Aoibhinn McGinnity try her hand at the role. Her performance as gangster wife Trish in the hit series Love/Hate was outstanding (also – she does a great Dublin accent). We need someone to bring the right mix of distraction, kindness and resignation to Dave. There’s only one man for the role, really, and that’s Colin Farrell. Though physically he’s not exactly what I had in mind when writing Dave, he’s close enough to please even me (those big brown eyes! that dark potentially curly hair!). Acting wise I’m a huge fan of CF’s work and I think he’d bring a sense of solidity and warmth to Dave’s soft spoken character. I had no trouble casting the fey, romantic, beautiful Cheryl. She is and always will be the great Fionnula Flanagan. If you’ve never been lucky enough to witness this woman act there’s a whole host of films out there for you to enjoy – I highly recommend her moving & spirited performance in The Guard. Dear, troubled, brave and gentle James. Next to the boys he’s the backbone of this story. I’d quite like to see a lesser known actor take on this role so that the character can live for himself. Another older man, and one whose performance must match Ms Flanagan’s for subtly and charisma. I think it would be a real meaty challenge that any actor would love to get their teeth into. One of my top preferences? Aidan Jordan. As you can see, I didn’t even try to cast the ghosts. I see them too clearly in my head to make that possible. If you read the book, however, and think of someone you might like in the roles, I’d be delighted to hear from you! The Page 69 Test: Into the Grey. Jennifer Longo's "Six Feet Over It"
Jennifer Longo holds an M.F.A. in Writing for Theater from Humboldt State University. She credits her lifelong flair for drama to parents who did things like buy the town graveyard and put their kids to work in it-because how hilarious would that be? Turns out, pretty hilarious. Longo lives in Seattle, Washington with her husband and daughter. Six Feet Over It is a contemporary story set in a cemetery in Northern California. The story is fiction with a bunch of my own childhood memories mixed in (as so many debuts are) so the characters are mostly composites of fictional characters and people I grew up with. I’m a playwright first, and Six Feet Over It began as a grad school play script, so I imagine it as a play with fabulous stage actors no one knows. My daughter is helping me cast the movie, she’s eleven and has the best taste! One of my favorite directors, who is also a really wonderful writer (He wrote the novel What’s Eating Gilbert Grape) and who is adept at letting humor have a place beside heartbreak, is Peter Hedges. Have you seen Pieces Of April? I could just die. One of my top 10 movies, ever! Oh, and Dan In Real Life. Love! I would absolutely love to see this movie. Mark Powell's novels include Prodigals (nominated for the Cabell First Novelist Award), Blood Kin (winner of the Peter Taylor Prize for the Novel), and The Dark Corner. He has received fellowships from the National Endowment for the Arts and the Breadloaf Writers' Conference. In 2009 he received the Chaffin Award for contributions to Appalachian literature. Powell holds degrees from Yale Divinity School, the University of South Carolina, and the Citadel. He is an associate professor of English at Stetson University in DeLand, Florida, and for three years taught a fiction workshop at Lawtey Correctional Institute, a level II prison in Raiford, Florida. Few things expose one’s utter ignorance of pop culture like being asked who might play the movie roles from your novel, in my case, The Sheltering. The good news, for me, at least, is that the novel is sprawling, with a large cast of characters so perhaps any mistakes in casting can be overcome with sheer volume. The novel follows two plot lines that slowly intersect until each can only be understood in the light of the other. In the first, Luther Redding flies a drone over Afghanistan from deep within a Tampa Air Force Base. When he dies in a sudden flash of light, erased as quickly and irrevocably as any target, his wife Pamela and daughters Lucy and Katie are left to deal with the aftershocks. In the second plot line, two brothers, Bobby and Donny Rosen, set off on a nihilistic road trip, eight kilos of coke in tow. For Bobby and Donny Rosen, I need two actors with that lean, hungry look; I need men wolfish, I need outliers. For Donny, his wounds as fatal as they are self-inflicted, give me the Christian Bale of The Fighter: winnowed to the bone by drugs yet still meaner than any snake. For Bobby, I want the Josh Brolin of No Country for Old Men vintage, but realize that’s too obvious a steal. How about then, the Stalker from Tarkovsky’s green-hued fever dream? Is he even still alive? He’s perfect, but we need bigger name recognition, we need a name at the bottom of the poster. How about Henry Cavill of Superman fame? I confess that I haven’t seen the movie; but I follow the cultish Gym Jones gym online (“You say cult like it’s a bad thing”) and I know they trained Cavill for the role. Good enough for Gym Jones, good enough for me, I say! So there we have it—star power, big names, explosive rolls just bubbling with Oscar-worthy moments! The only thing missing is that massive royalty check. Ahem…it’s coming, right? You over there so carefully avoiding eye contact, yes, you! Check’s in the mail, right? Learn more about The Sheltering at the University of South Carolina Press website. The Page 69 Test: The Sheltering. Michelle Gagnon's "Don't Let Go"
Michelle Gagnon has been a modern dancer, a dog walker, a bartender, a freelance journalist, a personal trainer, and a model. Her bestselling thrillers for adults have been published in numerous countries and include The Tunnels, Boneyard, The Gatekeeper, and Kidnap & Ransom. Don't Turn Around and Don't Look Now are her first two novels for young adults. NOA: There’s an amazing Australian film called, Tomorrow, When the War Began, (if you haven’t seen it yet, put it on your to-be-watched list immediately!) The lead actress in it was incredible; the whole time I was watching the movie, all I could think was that if you chopped her hair short and dyed it black, she’d be a perfect Noa. Her name is Caitlin Stasey, and I’d be shocked if we didn’t end up seeing a lot more of her in the future. PETER: I really love Dylan Minnette, the actor who played the son in the (sadly) short-lived series Awake. He didn’t have much of a chance to display humor in that role, but he’s such a talented actor that I believe he’d be a perfect Peter. AMANDA: AnnaSophia Robb. She’s got the right look, and I think she might manage to make Amanda more sympathetic. I get a lot of emails from Amanda-haters; she’s a tricky character, in that she’s moralizing and judgmental; but a lot of that is a cover for her insecurity and vulnerability. So a really likeable actress like AnnaSophia could help humanize her. ZEKE: Zeke really needs to be a heartthrob: dark, moody, brooding. Tyler Posey definitely fits that bill, and I love him in Teen Wolf. I added a bunch of new folks to the cast in Don't Look Now, most notably Teo and Daisy. They’re a bit younger than the others, and rougher around the edges. DAISY: The actress who plays Daisy really needs to capture that punk-rock look, while still appearing fragile and doll-like (which isn’t easy!) I think Joey King would totally nail it, especially with blue hair. And finally, for our main baddie. Mason is the trickiest, since he’s supposed to have shark eyes. But if I can really shoot for the stars here, I’m calling in Jonathan Rhys Meyers. He has the chops to be scary and charming simultaneously (and he’d look great in one of Mason’s tailored suits). Learn more about the book and author at Michelle Gagnon's website. The Page 69 Test: Don't Turn Around. My Book, The Movie: Don't Turn Around. The Page 69 Test: Don't Let Go. 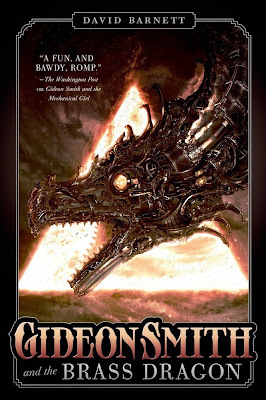 David Barnett's "Gideon Smith and the Brass Dragon"
David Barnett is an award-winning journalist, currently multimedia content manager of the Telegraph & Argus, cultural reviewer for The Guardian and the Independent on Sunday, and he has done features for The Independent and Wired. He is the author of Angelglass (described by The Guardian as “stunning”), Hinterland, and popCULT! It feels a little too much like tempting fate to think too deeply about a movie adaptation of the Gideon Smith series of books, either the first one Gideon Smith and the Mechanical Girl or the current follow-up, Gideon Smith and the Brass Dragon. But what a joy it would be to behold! Hopefully, if it ever happens, money will be no object and no expense will be spared in terms of the casting and the locations and effects. The Gideon Smith series is set in an alternate 1890s, where London is a huge city of towering spires and ziggurats (following a brief architectural flirtation with South American design), where airships ply the skies and the perpetual fogs are fed by the hunger for steam-driven technology. I tend to picture, in my idle moments, a trailer rather than a whole movie. It would open with a panoramic shot of Gideon’s London, dirigibles nosing through the smog, our hero gazing in wonder at the marvels of the capital, on his first visit from the tiny fishing village in the far north where he has spent all his life. Who would play Gideon? A newcomer, hopefully, one with an athletic build and curly dark hair falling over his collars. A young Johnny Depp, or someone with that air. We see Maria, the mechanical girl of the first book, a clockwork automaton hidden away in a tumbledown house, given liberty by Gideon. Rowena Fanshawe, the fearless airship pilot, struggles with the controls of her dirigible as it is dwarfed in Mediterranean skies by the larger ship belonging to the sky-pirate Louis Cockayne. We see Gideon’s father on his fishing boat in a sea-mist dawn, suddenly overcome by black, slimy shapes leaping out of the water. We see Gideon and his crew standing before a pyramid in the Egyptian sands. In the crushing darkness beneath the pyramid, Gideon panics as frog-faced monsters attack. A kiss, snatched in the interior of the pyramid, between Gideon and Maria. Then we cut to the sands above as Apep, the Brass Dragon of book two, erupts from the remains of the shattered pyramid while Aloysius Bent, the foul-mouthed Fleet Street journalist who has hooked up with Gideon, opens his mouth to let loose a stream of expletives... which are mercifully drowned out by an explosion of fireballs from the Brass Dragon’s mouth which engulf the screen. Roll Titles. Gideon Smith. Coming soon to theatres. Cut to final scene: Rowena Fanshawe, Gideon Smith and Louis Cockayne on the bridge of an airship, the brass dragon disappearing into the distance before them. The Page 69 Test: Gideon Smith and the Brass Dragon. 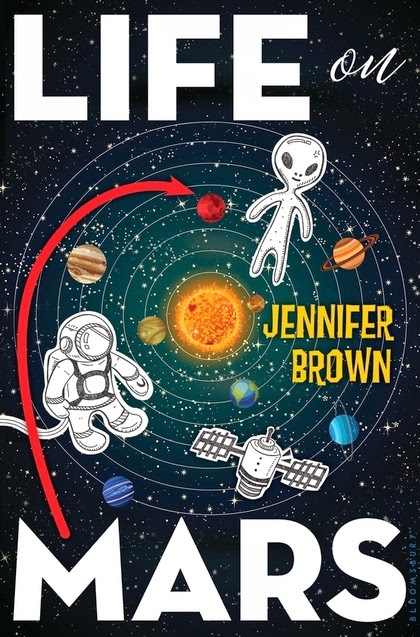 Jennifer Brown's "Life on Mars"
Jennifer Brown is the author of the young adult novels, Hate List, Bitter End, Perfect Escape, Thousand Words, and Torn Away. My superstitious side rarely lets me indulge in if-my-book-was-made-into-a-movie fantasies, but I will admit that Life on Mars was such fun for me to write, and came to life so vividly for me, I might have occasionally thought about what it would look like on the big screen. In my mind, Life on Mars, the movie, is something along the lines of The Goonies meets Holes meets Stand By Me, three of my favorite kid movies that all have a few things in common: an unlikely combination of comedy, gravity, quirk, and believability, with characters who are lovable and fun, and whose goals are adventurous and maybe even a bit fantastic, all woven together with an underlying thread of delicious storytelling. Arty would need to be played by someone who can pull off smart and quirky with just a hint of rebellion hiding somewhere deep within. I imagine Sean Giambrone (The Goldbergs) or maybe Atticus Shaffer (The Middle) as Arty. Tripp really has only one job—be adorable—and I think he’s a perfect fit for future Jack Gore (The Michael J. Fox Show). Bring in Cecilia Bagalot, who was adorably spunky in Desperate Housewives, as Priya, and you’ve got what I think is a perfect Life on Mars best friend trio. As for Cash Maddux, the movie needs someone tough and grizzled. Someone cranky and loud about it. But also someone with that little melty heart that he shows when he has to, even if he doesn’t like it. Someone that a boy could look up to, and also be afraid of. This is a role that calls for ... Ed Asner, hands-down. And, of course, Life on Mars, the movie, would have to be a summer release, so we can all go outside afterward and pick out the constellations, and maybe even find Betelgeuse, the “armpit” star. While I don’t spend a lot of time thinking about my books as movies, I have to admit ... scuffed Keds in summer grass, fart scenes and dog-peeing scenes, tears and sleeping bags and stars ... I suppose that’s a book-to-movie fantasy I could get into. Where’s the popcorn? Learn more about the book and author at Jennifer Brown's website. Read: Coffee with a Canine: Jennifer Brown & Ursula and Aragorn. Kathryn Erskine's "The Badger Knight"
Kathryn Erskine is the acclaimed author of many distinguished novels for young readers, including Mockingbird, winner of the National Book Award; The Absolute Value of Mike, an Amazon Best Book and ALA Notable Book; and Quaking, an ALA Top Ten Quick Pick for Reluctant Readers. Here's the cast of (main) characters -- this is always such fun to do! Adrian is young (just turning 13). He's very small for his age and has albinism so the actor, if one with albinism couldn't be found, would need to be pale and quite young like Dusty. Part of why I made him have albinism is that so often in literature and film the character with albinism is the bad guy or the weird guy. In this story, Adrian is the hero. Coffee with a Canine: Kathryn Erskine & Fletcher. The Page 69 Test: The Badger Knight. Natalie Haynes is a graduate of Cambridge University and an award-winning comedian, journalist, and broadcaster. She judged the Man Booker Prize in 2013 and was a judge for the final Orange Prize in 2012. Natalie is a regular panelist on BBC2’s Newsnight Review, Radio 4’s Saturday Review, and the long-running arts show, Front Row. She is a guest columnist for The Independent and The Guardian. 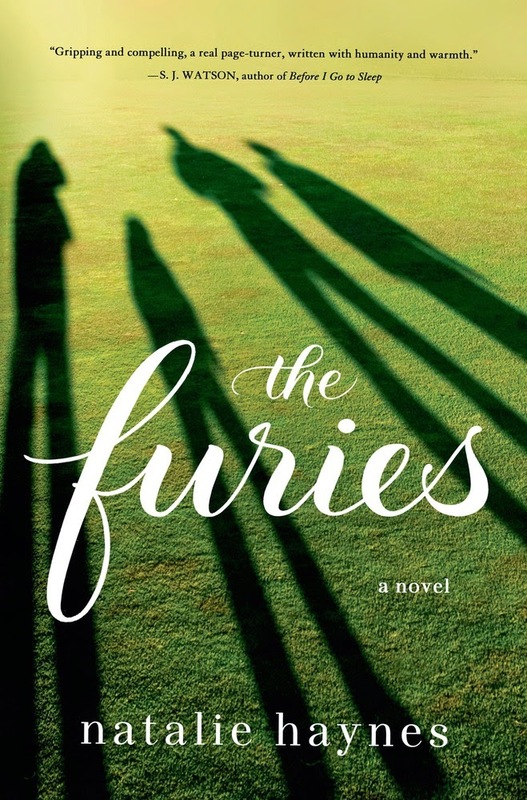 The lead character in The Furies is Alex: a woman in her mid-twenties, who has suffered a terrible loss, and is about to embark on a course of action that will indirectly cause another. She’s from London, England, and is working in Edinburgh, in Scotland. I have always thought she should be played by Anna Maxwell Martin, who you probably last saw as Philomena’s daughter (who pesters Steve Coogan into investigating her mother’s case, in Philomena). I think she is slightly older than Alex, but it couldn’t matter less, because she is a) a brilliant actor, and b) has the saddest face I’ve ever seen on the big or small screen. There is something compelling about her eyes: they seem to be on the verge of tears at all times. I can’t think of anyone who could better capture Alex’s grief and anger. I don’t think I was thinking about her when I started writing Furies, but whenever anyone asks who would play Alex in a movie, I always say it would be her: she looks like Alex (or maybe it’s the other way round). And it is a pretty tough role. At the beginning of the book, Alex is numb with grief, but she gradually thaws out as she starts teaching a difficult group of students. So Alex needs to be charismatic, too: the audience would have to believe this woman could control a room of aggressive kids. But here’s the thing. Last year, my boyfriend was in a movie with Anna Maxwell Martin, and he came back from a week of filming saying she is the quickest person to laugh in any room (and he’s pretty quick to laugh himself). And for a moment, when he told me that, I thought I’d made the wrong choice in my fantasy-film-casting daydreams. Then I realised this actually made her even better casting. Alex is not an intrinsically miserable character. She’s a smart, funny person, to whom something truly awful has happened. The whole time I was writing her, I wanted those two levels to be readable: she is wretchedly unhappy, but beneath that, she’s someone you would want to hang out with. She isn’t a gag-a-minute, or anything, but if you were having a beer with her, she would listen to you and she would make you laugh. Having said all that, I think there is a possibility that if Furies was made into a film, it would be relocated to America. And in that case, I would pick Elizabeth Olsen to play Alex: she has the same qualities of intense emotion and cleverness which Alex has. And she has an extraordinary capacity to show vulnerability and toughness at once. I’m not picky: I’d be overjoyed with either of them. Who would direct it? Why, Joss Whedon, of course. I’m not an idiot. The Page 69 Test: The Furies. 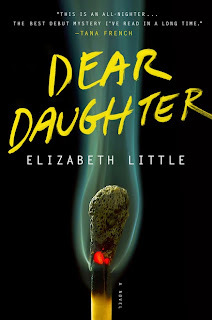 Elizabeth Little was born and raised in St. Louis and graduated from Harvard University. She has written two works of nonfiction: Biting the Wax Tadpole: Confessions of a Language Fanatic and Trip of the Tongue: Cross-Country Travels in Search of America's Languages. Dear Daughter is the story of Jane Jenkins, an ex-Hollywood It Girl who was convicted of killing her mother. Ten years later, released on a technicality, she adopts a new identity, gives the media the slip, and heads to a tiny town in South Dakota to try to uncover the truth about what really happened the night of her mother’s murder. In many ways, Dear Daughter is a riff on a classic noir setup—that of The Wrong Man—so instead of casting the roles with modern actors I thought I’d look instead to the greatest actors of the golden age of Hollywood noir. ... and finally Jane, my prickly, haunted heroine: Lauren Bacall, the woman who once said, “There are a lot of people who don’t like me at all, I’m very sure of that. But I wasn’t put on earth to be liked.” Whether people loved her or hated her, though, none of them could take their eyes off her. I hope readers feel the same about Jane. 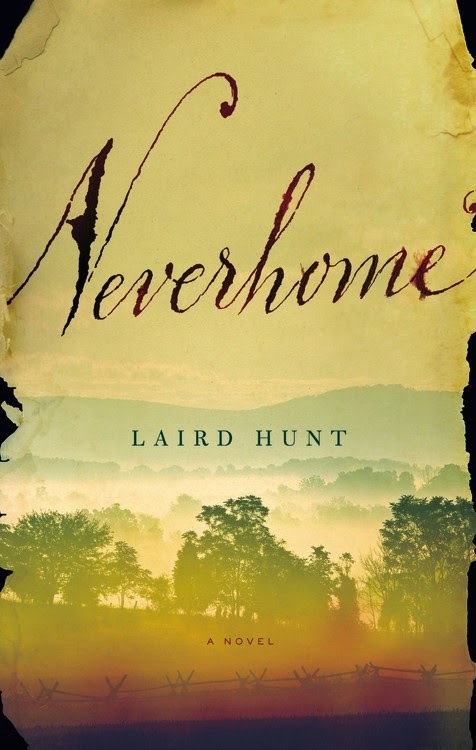 Laird Hunt is the award-winning author of a book of short stories, mock parables and histories, The Paris Stories (2000), and five novels from Coffee House Press: The Impossibly (2001), Indiana, Indiana (2003), The Exquisite (2006) Ray of the Star (2009) and Kind One (2012), which was a finalist for both the 2013 Pen/Faulkner award and the 2013 Pen USA Literary Award in Fiction and the winner of a 2013 Anisfield-Wolf Book Award for Fiction. Of course as I was writing my novel about a woman who disguises herself as a man and goes to fight for the Union army during the Civil War it was hard, when I was pipe dreaming about filmic adaptation, not to think of Hilary Swank who played “Brandon Teena” so brilliantly in Boys Don’t Cry. My thoughts about how she would play my character, Ash Thompson, were given an extra charge when I spotted her a couple of times last summer when I was doing a writing residency to work on edits to Neverhome in Marfa, Texas. Still, the fact that she has already done it – and with such success – made it hard to imagine it happening again and my mind has turned elsewhere. Recently, watching the final episodes of the most recent season of Game of Thrones, I thought of Rose Leslie, who plays the fierce wildling Ygritte. My character Ash can be pretty ferocious and is good in a fight, to say the least. Leslie plays ferocity with convincing skill and one could well imagine her in disguise as a soldier. She would look great in a kepi! And just last week a friend alerted me to an interview given by the great French actress Marion Cotillard in which she remarks that she would enjoy the challenge of playing a man in a film. I would love to be able to pitch the idea of playing a woman “playing” a man not playing at war 150 years ago to her. I think she just might find the idea intriguing. Visit Laird Hunt's website, Facebook page, and Twitter perch. The Page 69 Test: Neverhome. Okay, I’ll admit it: I’m an enormous vintage movie buff. Can’t get enough of it. Love anything black and white. Also a big fan of Hitchcock (I think Rear Window might actually be my favorite). My love of vintage movies influenced the writing of Feral, which falls squarely into the realm of the classic psychological thriller. The novel features a Hitchcockian pace and focus on character development (here, we’re exploring the inner workings of the main character, Claire Cain, as she attempts to restart her life following a brutal gang beating). Like vintage psychological thrillers, Feral does borrow from other genres: mystery, horror, even paranormal, but the emphasis is on the “psychological” rather than thriller / action. Essentially, every aspect of Feral is used to explore Claire’s inner workings—that includes the wintry Ozarks setting. The water metaphor is employed frequently in psychological thrillers to represent the subconscious, and here is incorporated in the form of a brutal ice storm (that represents Claire’s “frozen” inner state). The attempt to untangle what is real from what is unreal (another frequently-used aspect of the psychological thriller) also begins to highlight the extent to which Claire was hurt in that Chicago alley. Even the explanation of the odd occurrences in the town of Peculiar offers an exploration into and portrait of Claire’s psyche. Ultimately, Feral is a book about recovering from violence—that’s an inner process, a terrifying process. The classic psychological thriller allowed me to explore that frightening process in detail. I would absolutely relish seeing Feral come to life on the screen, looking like those vintage psychological thrillers I’ve long loved. Visit Holly Schindler's website, blog, Facebook page, and Twitter perch. J. M. Hayes's "The Spirit and the Skull"
J. M. “Mike” Hayes was born and raised on the flat earth of Central Kansas. He studied anthropology at Wichita State University and the University of Arizona and lives in Tucson with his wife and a small herd of German Shepherds. Even with the infinite casting ability of someone whose choices are limited only by imagination, this was a tough job for me. The Spirit and the Skull is set 15,000 years ago on the North Alaskan tundra. The main characters are among the earliest immigrants into the New World, on their way to become American Indians. So I think they should look the part. The easiest way to do that is to cast American Indian actors. Since Westerns don't exactly crowd our theaters, TV series, or DVD selections these days, American Indian actors aren't so easy to find. Nevertheless, here goes. Raven is a forty-something Spirit Man and the central character in the novel. Wes Studi is older than that, but Raven would have lived his entire life exposed to wind, sun, weather, heat, and cold. I picture him as still lean and hard, but with a weathered face that's filled with character. Wes Studi has that kind of face, and one many people will recognize, since he's appeared in a lot of films and television. He's probably most famous for playing Tony Hillerman's Joe Leaphorn in Robert Redford's PBS productions of Skinwalkers, Coyote Waits, and A Thief of Time. Studi is Cherokee. Willow was Raven's woman when they were very young, but drowned as they crossed a swift, icy river. Or did she? She's back, claiming to have been restored to her body by The Mother, whose spirit now shares it. And sometimes dominates it. Tantoo Cardinal played in Dances With Wolves with Wes Studi and has a long history in motion pictures and television. She is of Cree and French descent. Down is a young woman, just coming of age. Amber Midthunder is still quite young, very beautiful, and, with that gleam of intelligence in her eyes, might be ideal for the part. She's had a surprising amount of acting experience. You may have seen her on Longmire. Midthunder is Lakota Sioux, Asian, and European. Who else springs to mind when you think of an archaeologist on film? Indiana Jones would add a nice touch to my casting. “Perfect” pretty much describes Scarlett Johansson. So, since I'm fantasizing, I'll add someone repeatedly listed among the world's most beautiful women, especially since she's also a fine and proven actor. Given the chance, I might do a walk-on as one of the elders who is no longer considered productive enough to the band's survival—type casting. Learn more about the book and author at The Words & Worlds of J.M. Hayes website. The Page 69 Test: The Spirit and the Skull. Writers Read: J. M. Hayes. Thomas H. Cook's "A Dancer in the Dust"
Thomas H. Cook is the author of more than 30 critically-acclaimed fiction and non-fiction books. Born in Fort Payne, Alabama, Cook published his first novel, Blood Innocents, in 1980 while serving as the book review editor of Atlanta magazine. Two years later, on the release of his second novel, The Orchids, he turned to writing full-time. Cook published steadily through the 1980s, penning such works as the Frank Clemons trilogy, a series of mysteries starring a jaded cop. He found breakout success with The Chatham School Affair (1996), which won an Edgar Award for best novel. His work has been praised by critics for his attention to psychology and the lyrical nature of his prose. Besides mysteries, Cook has written two true-crime books, Early Graves (1992) and the Edgar-nominated Blood Echoes (1993), as well as several literary novels, including Elena (1986). I had no problem in deciding who I’d like to play Martine Aubert, the heroine—and she is exactly that—in my latest novel, A Dancer in the Dust. From the first line, and probably even before the first line, I had an actress in mind, namely, Jessica Chastain. I had very much enjoyed her performance in Zero Dark Thirty. She gave her character toughness, courage and iron-clad determination, and these, along with a terrible vulnerability and sense of impending loss, are exactly the qualities I imagined for Martine, a white, native Lubandan who stands against various schemes for her country’s “development.” Even love cannot distract her from the love she has for her country, though in the end, it is not a country that loved her back. A weepy, over-the-top performance would be completely wrong for this character, and I saw none of those characteristics in Ms. Chastain’s performance in Zero Dark Thirty. Even at the moment when she stares at Osama Bin Laden’s dead face, a man she has been tracking all her professional career, Ms. Chastain does not descend to melodrama. She stares at that malignant visage with the same determined gaze with which she has trailed him through the years. I only wish he could have opened his eyes long enough to see this proud, competent and utterly professional young American woman towering over him. That I felt this way at the end of the film is a tribute to Ms. Chastain, and I feel certain that she could bring the same resolve and sense of purpose to Martine Aubert. Learn about Thomas H. Cook's top ten mystery books and his five top books on the writing life. Visit Thomas H. Cook's website. Writers Read: Thomas H. Cook. Shannon Stoker has been writing her entire life. She decided to give writing a serious try after her husband bought her a small dog as a birthday gift. Nucky stole her heart immediately and she wanted a job that provided more flexibility to stay with him. When she’s not writing Stoker enjoys watching an insane amount of television shows as well as horror movies. She got a little taste of television herself when she competed on an episode of TLC’s Four Weddings. You can catch her episode in replays on the channel. 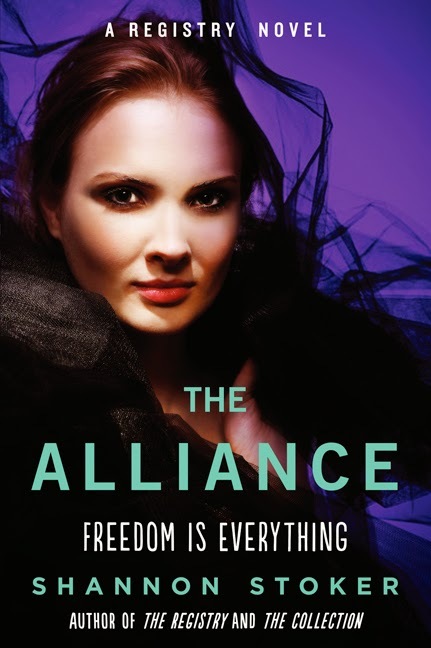 Her latest book is The Alliance: A Registry Novel. Stoker was born in Clawson, Michigan and raised in Elgin, Illinois. She currently lives in DeKalb, Illinois with her husband Andy and small dog Nucky. First off I have to say I change my mind on this topic a lot. 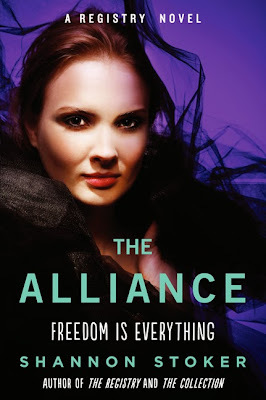 Who I imagined during the first draft of The Registry is very different from who I imagined when I wrote The Alliance and I’m sure they will change again. Mia – She is described as beautiful, so I would have to cast Cara Delevinge, who I think is probably the most beautiful woman in the world. Andrew – I have the hardest time imagining him. I don’t think I have one particular actor in mind, but when I was first writing The Registry I pictured Shiloh Fernandez. Multiple people have told me they picture Liam Hemsworth in the role, but I picture someone with darker features. Carter - Michael Welch. I saw him in a Lifetime movie on lazy afternoon and thought he would make a perfect Carter. He has that charming surfer boy appeal. Actually now that I think about it now whenever I write a blond male character Welch is the first one who comes to mind. Grant – Matthew Goode. This is the only choice that never changed. I imagined Goode in the role from the first draft all the way to right now. I think he could really pull off some of Grant’s outfit choices too. The Page 69 Test: The Alliance. Stuart Rojstaczer's "The Mathematician's Shiva"
Stuart Rojstaczer was raised in Milwaukee and has degrees from the University of Wisconsin, the University of Illinois, and Stanford. For many years, he was a professor of geophysics at Duke University. 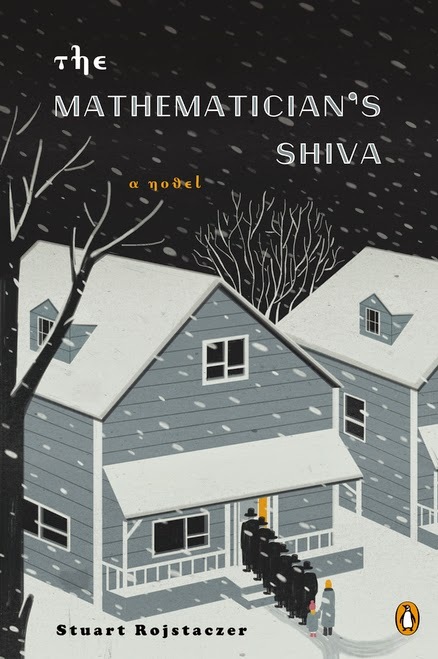 I just sent an advance copy of my novel, The Mathematician’s Shiva, to a producer with an IMDB credit list as long as a Hummer limo so, of course, I’ve thought about how my novel should be done by Hollywood. The rule of thumb is that bad books make good movies and good books make bad movies, but I think my novel, a good book, can be an exception to the rule and be a good movie. Here’s the elevator pitch. A math genius dies. Rumor has it she’s gone to her grave with a solution to a million-dollar problem that, out of spite, she revealed to no one. The math community descends upon her funeral desperately looking for the solution. There’s greed, chaos, mystery, comedy and lust. All I need is the right screenwriter – me, certainly – and the right cast and director. Here’s my wish list. Rachela Karnokovitch. She is the queen bee, a mathematical genius to whom others defer to almost always. I need someone who can play royalty with a Polish accent. Meryl Streep? Helen Mirren? Those two would both be fabulous. Let them battle it out with screen tests. Alexander “Sasha” Karnokovitch. The mostly dutiful son of Rachela, he’s an inveterate skirt chaser who somehow, in approaching middle age, must find a way to finally grow up. I need someone who can be dark, intense and also can tell a joke. It’s Liev Shreiber or bust. Anna Laknova. As close to a daughter as Rachela will ever have and an orphan raised in the Soviet Union, Anna is a mercurial figure who never settles for second best. Cate Blanchett would own this role like no one else. But wait, Isabelle Huppert would kill, too. Decisions, decisions. Cynthia Czerneski. Second wife of Shlomo and Texas born and raised, Cynthia must somehow try to understand and fit into this polyglot, Eastern European family scarred by war and Stalin. It’s Julianne Moore. Viktor Karnokovitch. Ex-husband of Rachela. Raised in Soviet privilege, Viktor’s reflexive arrogance is softened by his strong paternal instincts and his deep-seated admiration for the intellect of his wife. Ian McKellan, come on down. Jenny Rivkin. Admirer of Rachela for her strength and ability to operate with panache in a male dominated academic field. I need someone who can do a spot on Wisconsin accent and can believably hold onto her 12-year-old crush for decades. I’m casting a bit against girl-next-door type here, but summon me Heather Graham, please. Governor Dombrowski. A man with great hair, great teeth who possesses both a once athletic body gone a little to seed and the ability to sound sincere and greasy at the same time. Where are you, Alec Baldwin? Bruce Czerneski. Son of Shlomo, Bruce is the only one in the family who was born in the US (and the only one who has adopted anything close to American ways). He can sing, he can dance, and his libido gets him into trouble. Neil Patrick Harris, what are you doing in the spring of 2016? Yakov Epshtein. Stuck in Nebraska and a perennial loser at love, Yakov is a genial soul who never strays too far from a kitchen and who can surprise with both his warmth and intellect. Give Stanley Tucci a month full of knishes and vatrushkas and he’ll shine in this role. Vladimir Zhelezniak. Arch-enemy of Rachela. He’s come all the way from Moscow for Rachela’s shiva and for what purpose? I need someone who can play a bad, cunning, hot-blooded Slav. Calling John Malkovich. Now that I’ve assembled this all star cast, I need a modern Ernst Lubitsch, someone who can seamlessly mix sophisticated, witty comedy with slapstick. He’s young, sure, but he’s very, very good: Jason Reitman.